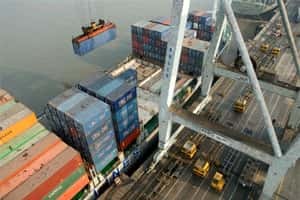 New Delhi: The Directorate General of Foreign Trade (DGFT) is considering scrapping provisions which mandate that some goods be imported through state trading agencies, in a measure that could ease trade policy and remove constraints on supply. DGFT is currently undertaking a comprehensive review of the export-import policy that could see a change in the so-called list of canalized items, which can be imported only by state agencies. All importers have to place orders with the canalizing agency for supply of the goods. The move comes amid a demand by Kingfisher Airlines Ltd chairman Vijay Mallya that his ailing carrier be allowed to directly import ATF so that the company can save on high sales tax charged by state governments. “ATF should not be the only commodity to be reviewed. There are many other commodities which could be imported only by state agencies. It will be a good idea to review all of them at a time," the official said. “What is the benefit that we get keeping them under restricted imports? Efficiency is more important." Lifting the restriction on other items on the canalized list could have an anti-inflationary effect, said some experts, who cited skimmed milk powder, which has to be imported through state-run National Dairy Development Board when there is a domestic shortage of milk. Since milk prices have gone up significantly in recent times, DGFT may consider removing skimmed milk powder from the list to boost domestic supply, trade analyst T.N.C. Rajagopalan said. Milk prices rose 11% in October from a year ago. With income levels in rural India rising, demand for items such as milk, pulses and fruits is increasing, he said. “This is a supply-side problem that needs to be addressed," he added. While there have been previous demands to allow the import of skimmed milk powder by private traders, these have been rejected over fears that milk producers in the country would be hit. While annual production of milk is increasing by 5%, consumption is rising by 6%, putting heavy pressure on prices, said Anwarul Hoda, professor at the Indian Council for Research on International Economic Relations. If ATF is removed from the list of canalized items, any airline can directly import jet fuel. To be sure, only state-owned oil marketing companies (OMCs) currently have the airport infrastructure required to fuel planes in the country. “The request from Kingfisher only crystallized the view that the list of canalized items should be reviewed," the government official said. While it will take time to amend the Foreign Trade (Development and Regulation) Act, 1992, under which DGFT functions, the change in rules can be notified in the forthcoming foreign trade policy, he said. DGFT has to do a tough balancing act while revising the canalized items’ list, said Rajagopalan. “They’ve to maintain the right balance between the interests of domestic producers and streamlining supply," he said. “It will be difficult to take out items like some petroleum goods and urea, where there is a government subsidy component." Rationalization of the list would be welcome, said Hoda. “With economic liberalization, huge numbers of items have already been removed from this list," he said. “Now mostly agricultural products and edible oils are there in the list." The DGFT official said Mallya has already met commerce minister Anand Sharma, commerce secretary Rahul Khullar and director general of foreign trade Anup Kumar Pujari to press his case. Kingfisher has cancelled about 50 flights daily until December amid a severe cash crunch. These flights are likely to be fully restored only in the next three-four months, according to chief executive Sanjay Aggarwal. The airline had debt of about Rs7,000 crore at the end of the 2010-11 fiscal. At present, only state-run enterprises such as Indian Oil Corp. Ltd (IOC) are allowed to import ATF. The direct import of ATF could lead to savings of as much as 10% in operating costs, according to a Federation of Indian Airlines estimate. Fuel, which accounts for over 50% of an airline’s operating cost, is taxed at 4-30% by states. Private airline operators have asked the Centre to bring ATF under the proposed goods and services tax to ensure that levies are uniform across the country. In the last fiscal, Indian oil companies sold 5.078 million tonnes of ATF, an increase of 9.7% over 2009-10. An oil ministry official, who did not want to be named, said it was for DGFT to take a call. However, another oil ministry official had said earlier that it was not in favour of easing the terms on which jet fuel was supplied to Kingfisher, which doesn’t get credit from state-owned OMCs. IOC, Bharat Petroleum Corp. Ltd and Hindustan Petroleum Corp. Ltd, all state-run, supply jet fuel on a cash-and-carry basis to the debt-burdened airline.